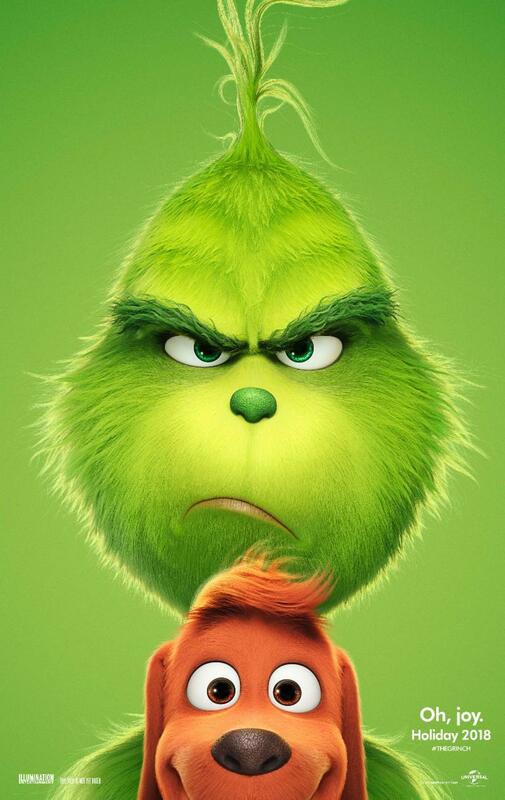 Here is the trailer from the upcoming film “Dr Seuss’ The Grinch”. The film is directed by Scott Mosier, Yarrow Cheney. Academy Award® nominee Benedict Cumberbatchlends his voice to the infamous Grinch, who lives a solitary life inside a cave on Mt. Crumpet with only his loyal dog, Max, for company. With a cave rigged with inventions and contraptions for his day-to-day needs, the Grinch only sees his neighbors in Who-ville when he runs out of food. Meanwhile, down in Who-ville, Cindy-Lou Who-a young girl overflowing with holiday cheer-plots with her gang of friends to trap Santa Claus as he makes his Christmas Eve rounds so that she can thank him for help for her overworked single mother. As Christmas approaches, however, her good-natured scheme threatens to collide with the Grinch’s more nefarious one. Will Cindy-Lou achieve her goal of finally meeting Santa Claus? Will the Grinch succeed in silencing the Whos’ holiday cheer once and for all?